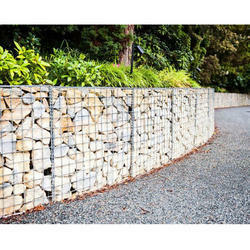 Offering you a complete choice of products which include Gabion wall. The range of Gabion Wall made available by us is used for building retaining wall and controlling erosion. Also, these walls can be used as a home building product. Our range can be availed by clients at market leading rates. Looking for Gabion Wall ?